Local dining options in Destin and along Highway 30A include everything from family restaurants to sports bars to fine dining. Enjoy great local seafood, Italian, BBQ and inexpensive family restaurants. Experience everything from a crab house on the beach to top rates steakhouses. We recommend the following local restaurants, each one offering great local dining ambience. The Santa Rosa Golf and Beach Club's Vue on 30a restaurant boasts incredible daytime and sunset views from its window lined dining room. The Terrace at Vue on 30a is the locals' favorite spot to watch the sunset while enjoying happy hour drink specials, Chef Gio's signature Venison Rolls and nightly dinner features. Located in Santa Rosa Beach on Scenic Highway 30A, near the intersection of 393 and 30A, the Vue on 30a will be sure to leave you wanting more. For more information, call 850.267.2305 or visit online at www.vueon30a.com. Our small Italian Restaurant makes up the body and substance of a clasic Trattora. We serve robust, homemade food that is the heart and soul of Italian cooking. We offer a full service bar, including our house drink......the Bellini. Our atmosphere is unpretentious and homey in a setting reminiscent of Itally's countryside. A true old Florida seafood restaurant nestled on the northern shore of Choctawhatchee Bay on Hwy 20. This coastal treasure has been serving some of the best seafood to be found anywhere for decades. It's the kind of place where locals usually outnumber visitors. 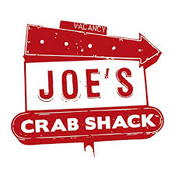 The menu includes fish, shrimp, oysters, scallops, stuffed crab, steaks, chicken, fried green tomatoes, soft shell crabs, steamed blue crabs & gator tail. A great place to get away from the crowds or to have an unforgettable meal on your way to or from the coast. Fine Dining with Gulf Views! Welcome to Beach Walk Henderson Park, Destin's ONLY fine dining located directly on the emerald waters of the Gulf Coast. You are cordially invited to enjoy our award winning cuisine and stunning view. Unique, memorable dining opportunities await you with our Toes in the Sand and Sky View Deck dining and indoor dining overlooking the sugar white sands and glimmering waters. Beach Walk Henderson Park is for patrons 13 years of age and older. The coastal cuisine served by Goatfeathers restaurant has been a local favorite for over 30 years. It offers a reasonably priced menu with a wide array of local seafood including oysters, grouper, shrimp, scallops, fish of the day, and more. The homemade sauces and soups make it a truly exceptional coastal dining experience in a pleasant & laid back atmosphere. 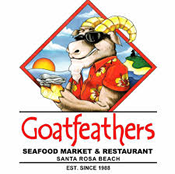 Open every day from 11 a.m. - 8 p.m. Goatfeathers seafood market is located just below the restaurant. 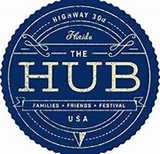 Rustic to fine dining choices are available in both Destin and along Highway 30A. There's a few reataurants in both area's with great views of the Gulf of Mexico, but only a few. In Destin there are both fine dining and casual restaurants with excellent views of Destin Harbor. Bay view dining is available in Sandestin's Baytowne area along with dinner cruises aboard the Solaris, the area's only cruise ship. There's also seafood steamers, traditional seafood, Thai, Chinese, Japanese, Barbecue, Italian, Steakhouses and many other dining specialties. Be sure to allow for drive time consideration when making restaurant selections, especially during spring break and the summer months. Some restaurants offer discounts up to 50% for those who dine early. Parking can be an issue at restaurants in and around the Emerald Grande near the Destin Bridge. You may want to consider a car service for restaurants in that area. We suggest that you review the menu and prices online before making your final choice. Many Destin & 30A restaurants offer early bird dining specials, typically 1 entrée free for each one purchased for orders that are placed early such as between 5:00 & & 7:00. Check their website or give them a call to confirm details. Small plates may also be offered at special low prices during certain early time frames in the bar area. When choosing a restaurant it's also a good idea to consider traffic. Dining a little early or a little later usually reduces the driving time & traffic, particularly during spring break and summer. During those periods you may want to select restaurants closer to where you're staying.